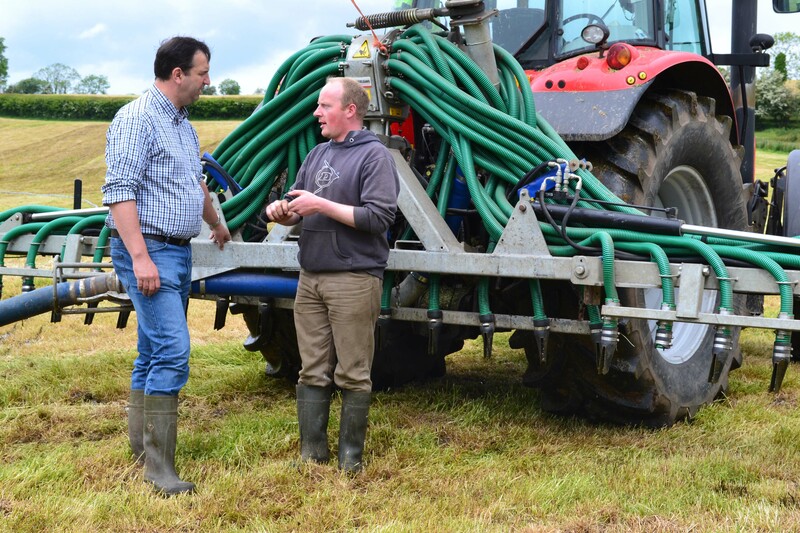 Many farmers are now looking to maximise the nutrients that are contained in slurry which, if applied correctly, can have both significant financial and environmental benefits to their farm business, according to Ian Browne, Countryside Management Adviser with DARD. 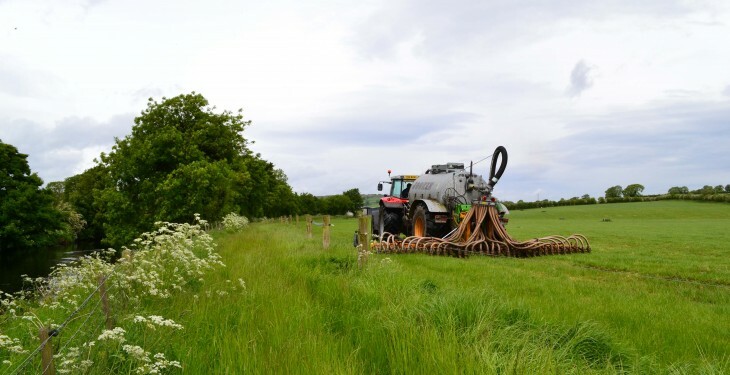 He said, in a recent management update that with the high cost of chemical fertiliser, that many farmers are now turning their attentions to the application of slurry to boost the after-grass growth. He stressed that Organic manures can only be applied when conditions are suitable. Slurry cannot be applied when the soil is waterlogged, flooded (or liable to flood), if heavy rain is forecast in the next 48 hours or where land is steeply sloping with a significant risk of water pollution occurring. Northern Ireland research, as shown in the table below, demonstrates that grass growth for second cut silage is greater where slurry has been applied with a trailing shoe or band spreader compared to the traditional splash plate method. Browne highlighted that in addition to the improved water quality in rivers and lakes and the increased nutrient efficiency, application using the band spreader and the trailing shoe method also results in reduced odour and ammonia emissions from slurry spreading and reduced chemical fertiliser usage resulting in lower greenhouse gas emissions. Charlie Young and his family from Castlederg who run a very successful contracting business alongside their dairy farm have seen the benefits of this new technology and use both the band spreader and trailing shoe when applying slurry for farmers in the Derg Valley. They have found that many farmers are now requesting the band spreading or trailing shoe method as they see the many benefits not only to grass growth but also a financial saving to their farm business. Using a flow meter in the tractor cab, the Young’s know exactly the rate of application of slurry to each field and can match application rates with crop requirement, resulting in more efficient use of nutrients. 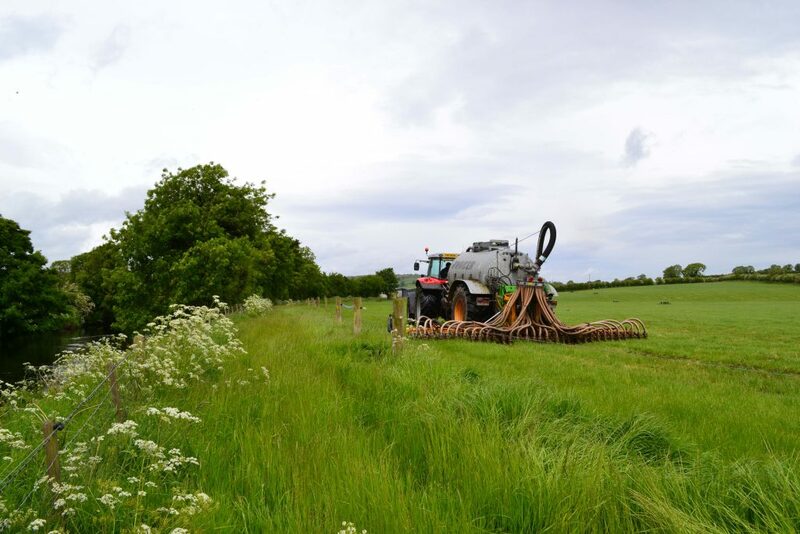 These systems have the additional benefit in that they reduce grass contamination from slurry and reduce the risk of pollution of our lakes and rivers.